Don't Waste Your Freedom - What Is the Purpose of Life? You may think your times spent as a student were times of freedom, because you were young and had few responsibilities. Perhaps you considered your parents to be very un-free and blamed them for being tied down to things. Perhaps you are a student yourself and you may wish that this would continue forever. But what is a student but a person who has not yet really participated in life, a person in preparation? Your parents are participating in life now, they have learned about their strengths and their weaknesses from life’s challenges. How can someone not yet ready to participate complain about those who do? Some even complain about those who pay for their education, their preparation for life. Your parents know the requirements of life from their perspective and they wish to help you prepare. Don’t waste your freedom to prepare. You may think that their vision of your future was wrong and their idea of preparation was inadequate. This happens all the time. But you cannot question the good intention behind this. They wish to prepare you to be ready to participate, they do not wish that you spend your entire life preparing to participate. They know that this would be tragic for you. They have seen it. I have seen it: people in their 30’s or 40’s still playing in their life and not really participating. You may know these people, too, and think they represent the ultimate in freedom that this world has to offer. Am I talking about ski bums, base jumpers, stuntmen, round-the-world sailers – all the cool people now? Yes, I do, but I refer mostly to just the ordinary person who thinks their life purpose is to be entertained. 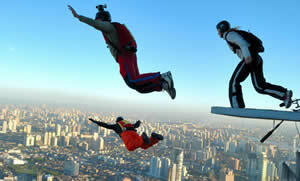 The over all fatality rate of base jumpers is one fatality per sixty participants. This is an ultimate example of foolishness. Is this freedom? Is it freedom to risk everything that was done to bring you up in this difficult world? The countless hours your mother and father spent to take care of you, raise you, all the money spent to educate you by your parents and society. Is it freedom to risk all that for a momentary thrill? The New Message from God gives this fresh concept of freedom, of which this quote was just a small part. Do you wish to stop following others mindlessly? I know I do. It happens so easily. You see an ad, and suddenly think you need something you did not need 10 minutes ago. What is that? I truly want out of all this. 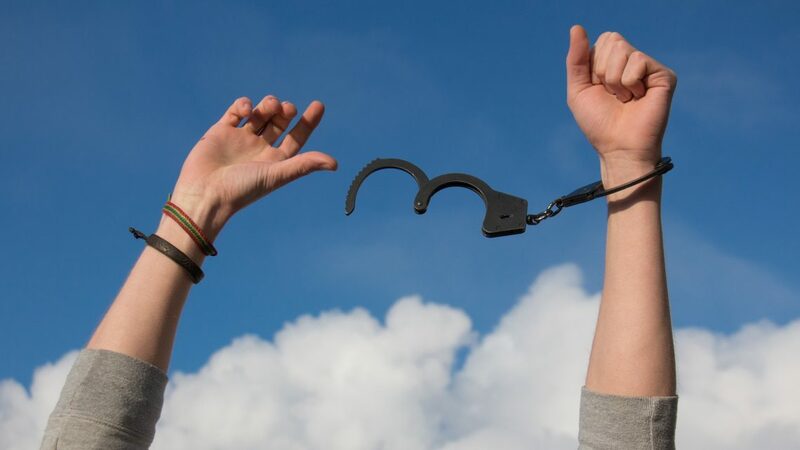 Can wasting your life be considered an essential freedom? We are wasting this world, we are free to do that, but does this give us eventually freedom or disaster? You know the answers to all these questions. This knowing is called Knowledge. You cannot be free unless you give freedom to others. And giving freedom requires responsibility, dedication to service and accountability to others. If you think you are not accountable to the world that supports you in so many ways, you are still playing with life, you are still in preparation to participate. Your parents did not have a way out of this, unless they were engaged in true spiritual work. You can have a way out of this, there are steps out of this. 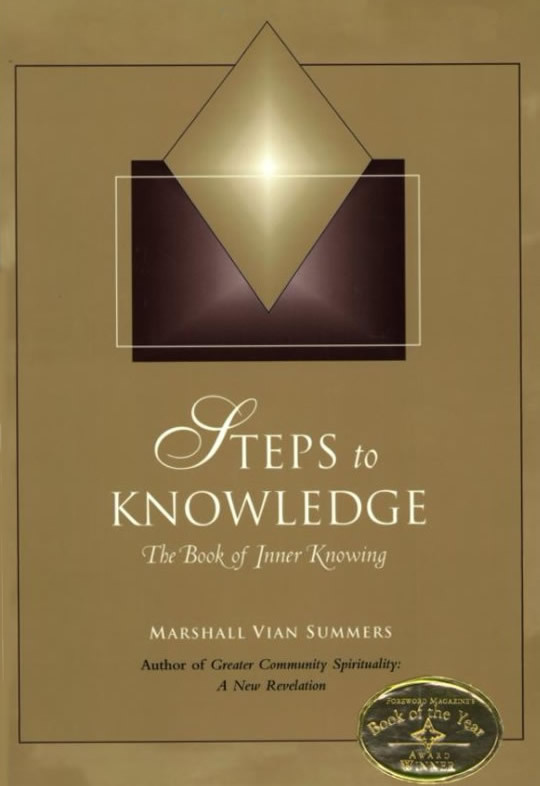 Over 25 years ago a program of study called “Steps to Knowledge” was given that is a way out of this and showing a way to freedom of almost unimaginable proportions. A freedom of its truest sense. The way is given, you just need to take the first step. This is the true preparation you need to be in, but you can only enter, once you affirm that your time to participate has come.